THE DIRTY ARMY: Nik, there’s a difference between a floozy and a floozy-in-denial. 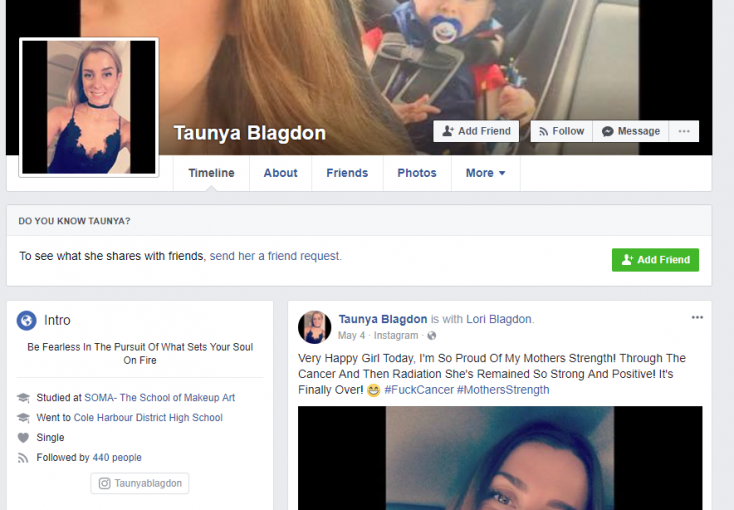 Taunya Blagdon has admitted to posting herself on BP before and is all game for p4p. I think she will charge anything from 120/hh and such. The worst part is she has made previous Facebook posts bashing other girls who do this. THE IRONY!!! Gosh. workin’ girl drama. ahhhhhhhhhhhh yeah. I know the girl, pretty well. Jealousy is a b*tch. I would marry her in a second. Lucky the one she chooses. The utmost respect for her as a woman.